The Michael Todd True Organics products are some of my absolute favorite. The products always smell fantastic and leave my skin clean, soft and gorgeous. 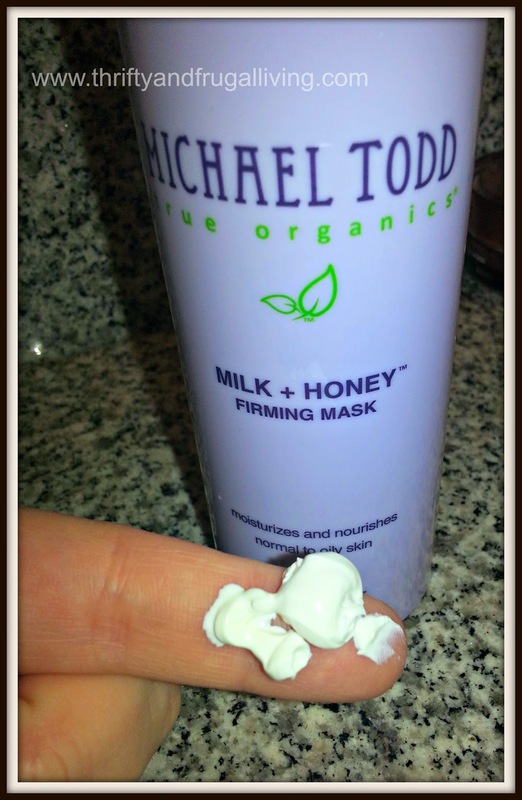 I was super excited to receive the Michael Todd True Organics Milk and Honey Firming Mask. This mask is formulated for all skin types and is especially good for sensitive skin. Something happened to my skin when I hit the age of about 29. It suddenly became finicky, dried out in areas and sensitive. I try to stick to sensitive skin products now. 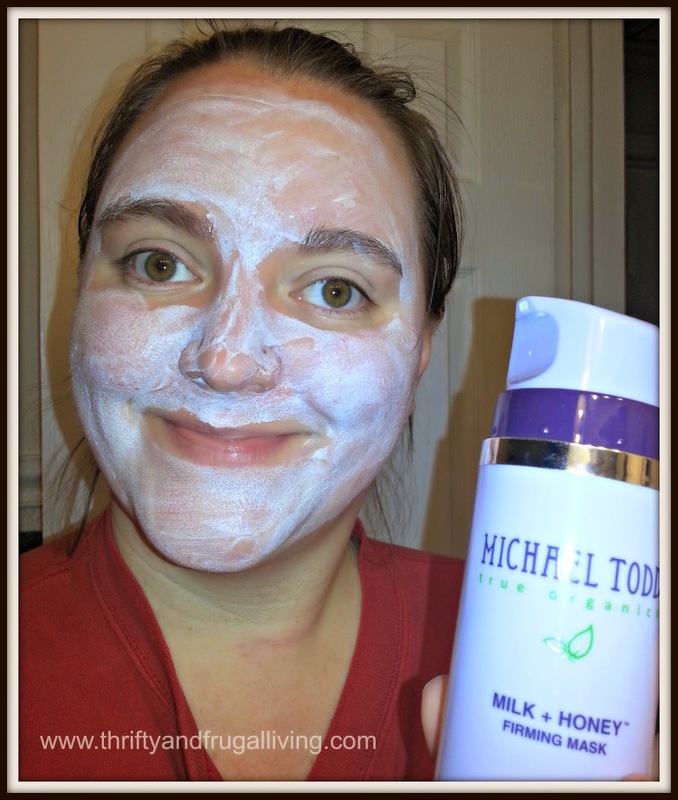 The Honey in this mask adds moisture to the skin while the milk exfoliates and loosens dead skin cells. They are the perfect combination for a mask. It also contains mango and shea butters, kaolin clay, vitamin A and natural plant extracts. The mask is thick, white and creamy and comes in an easy to use pump. I use several pumps to cover my entire face each time I use the mask. It is recommended that you wash your face before using and that you follow up the mask with a toner and moisturizer. The mask has a slightly sweet milk and honey smell that I absolutely love. When I put this mask on the scent relaxes me and allows me to imagine that I am in a luxurious spa. My favorite part of this mask is how it makes my skin feel. It feels amazing both while using the mask and after washing it off. My skin gets a tingly, cooling sensation. It is definitely relaxing after a long day of work. You leave the mask on for 10-15 minutes, but you will be able to tell when it is time for it to be removed. The tingling sensation stops when it is dry. The mask does require a tiny bit of work to remove since it is so thick. I use a washcloth or my konjac sponge to remove it. I am definitely loving this mask! You should definitely try out Michael Todd True Organics Masks and treat yourself. If Milk and Honey are not your thing, there are also masks in pumpkin, pearl and silk, kaolin clay, avocado mango, wild berry, rose petal and charcoal. They retail for $34 for 100ml. One lucky reader will win a Michael Todd True Organics Beauty Tool Bundle! You look so cute! Is it only available online? This mask looks great and the bundle looks like it has so many winter skin care tools! Masks are a great way to treat myself and feel like I had a spa day. I entered the TruOrganic.com give-away!